In Soviet Russia, dance breaks you! 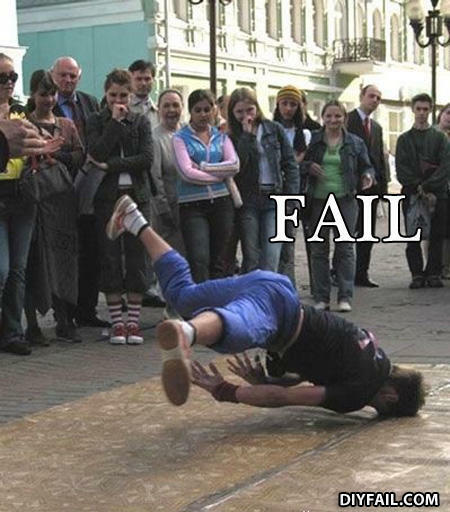 This is why you don't do the Worm on concrete. he's actually doing a windmill which requires you to spin on your head like that, this is more of a "perfectly timed photo"
In mother Russia, dance breaks you!!!11!!!!1!!1!11! Sings: "I Believe I can Fly!" OW! It's not a fail,its just a windmill!! !